...to the second edition of the Dominic Morrogh Trust Newsletter! We would firstly like to take this opportunity to thank each and every one of you for your amazing support throughout 2013. The range of 'Get Active' events organised and attended, and the amount of money raised was a huge boost to Dominic and all those who care for him. Words cannot express the amount of love and support that we have felt and for that we would like to thank you from the bottom of our hearts. Well, the first six months of getting the Trust Fund for Dominic up and running has been hectic, but, thanks to all of you, really successful. In just this short time we have raised over €45,000! Thank you for continuing to support Dominic through his journey. 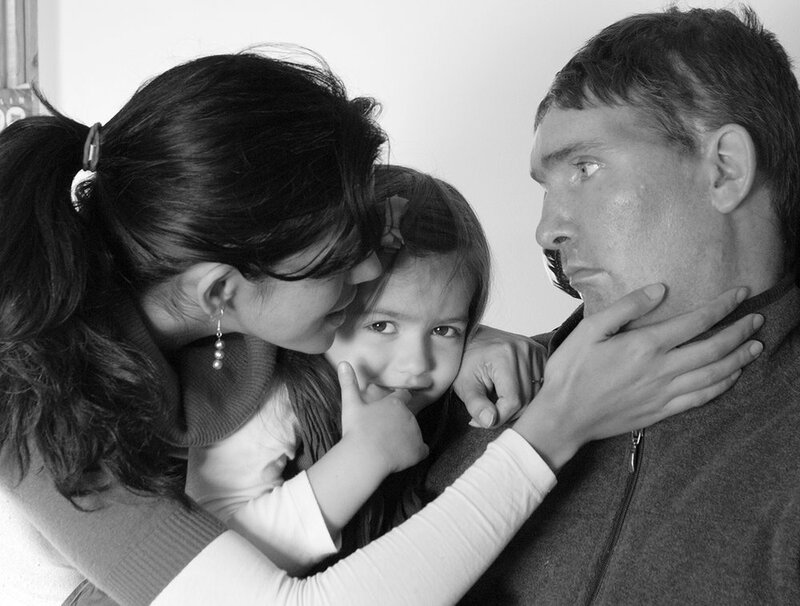 The funds continue to be used for the various therapies he benefits from every week and have afforded us the opportunity to research medical options that would not be possible without your generous support. In this Newsletter you will find some personal accounts of the wonderful fundraising events that many of you took part in from those who organised them, and also some information on one of the new technologies we are trying with Dominic. Celebrating Dominic, Family and Friends. Over the last year we have enjoyed having Dominic come home on a regular basis every Sunday. It has been a healing and engaging process to have this time with him. These Sundays give Dominic, Sonja, and myself downtime to be with each other in a familiar and positive manner. We recently celebrated Dominic’s 39th birthday at home. Having friends and family visit him at home during these Sunday visits, has been an added bonus for all of us. Recently a friend of ours, Isabel Coyle, dropped by and took a few pictures while Dominic was home. I think they capture the environment beautifully (thank you Isabel!). We would like to take this opportunity to share one of these moments with you, and most importantly to say thank you for your support. We hope your 2014 has gotten off to a great start! Apart from all the wonderful 'Get Active' fundraisers around the country, this year has been an extremely eventful one. One of the exciting developments has been in the area of new technologies (a subject close to Dominic's heart!) that can help him engage more with the environment around him. We are very excited to be working with Brainfingers, a US company who have developed software to help people with traumatic brain injuries. Brainfingers is a headband device that senses and responds to surface electrical signals generated from muscle, eye movement, and brainwave activity detected at the forehead. It has been used with great success with people who have suffered head injuries, enabling them to communicate, and to control their environment. One of the users we have been in touch with is Richard Archer from the Veterans Hospital in Florida. "We see many TBI individuals here at the hospital and have had very good success with the device. In fact in some cases nothing we tried worked until we tried the device. It gives us one more avenue to help the Veterans be successful in controlling some parts of their life they had no control over before". Ten years ago a group of friends attempted to climb Carrauntohill, Co. Kerry, the highest peak in Ireland at 1038 metres, but conditions got the better of us. Dominic was with us in 2003 and I'm sure he would have been the first person to join us if he could have last November. In fact you could not really forget that he was with us in 2003; it really was quite something to see a man running down the mountain, in his birthday suit, jumping into one of the Corrie lakes for a swim, in sub-zero temperatures! As Dom recounted in an email to Tara soon after our hike in 2003: “11 of us arrived in Killarney on Friday and I did my best to dissuade them all from climbing the mountain, but we drank heartily and all went straight after the mountain. Anyway it was a clear enough day and the hill was covered in snow. We took the longest possible route to the mountain, and were exhausted before we even started to climb. None of us really knew which way to go so we opted for the devil's ladder, but as we got closer to the top it got pretty hairy and we turned back. It was pretty frightening getting back down, I was waist deep in snow on an incline of 70 degrees and never knew whether there was ground beneath me or just snow resting on ice. When I got down I had a beautiful swim!". 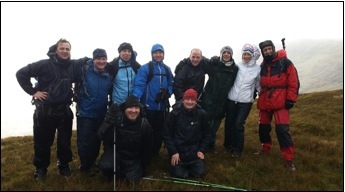 Ten years on, Keith McGovern, Caitríona McGovern, James Murphy O'Connor, Cahir Doherty, Dualta Moore, Ivor McMahon, Rob Keeling, James Kelly, Joe Keane and John Cronin scaled the peak in solidarity for Dominic; expertly guided by international adventurer and polar traveller, Mick O'Shea. A Round of Tennis Anyone? Tennis is a family thing for the Morroghs and we have to say they are all pretty good at it! 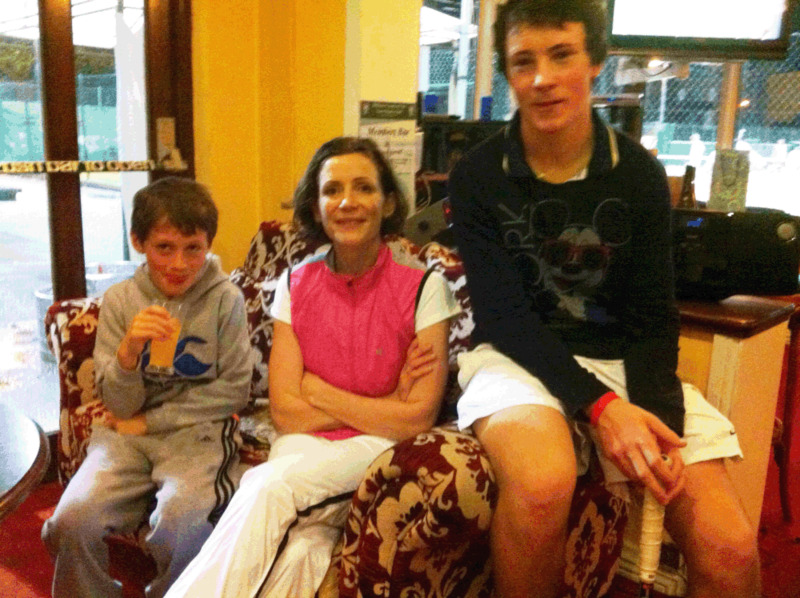 Rory McGovern, Dominic's cousin, organised an evening of tennis, food, and fun at the Kilkenny Tennis Club. It was wonderful to see so many fellow tennis players show up in support! Thank you to the Kilkenny Tennis Club for supporting Dominic in his journey forward. 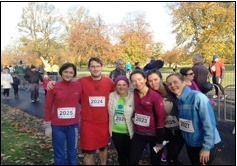 Carolyn Coyle, Dave and Gwynne Meagher, Ciara Clissmann and Lizzie GoreGrimes did a 5k run in Phoenix Park on the 10th of November for the Dominic Morrogh Trust. It looked like they managed to catch a beautiful day for it. 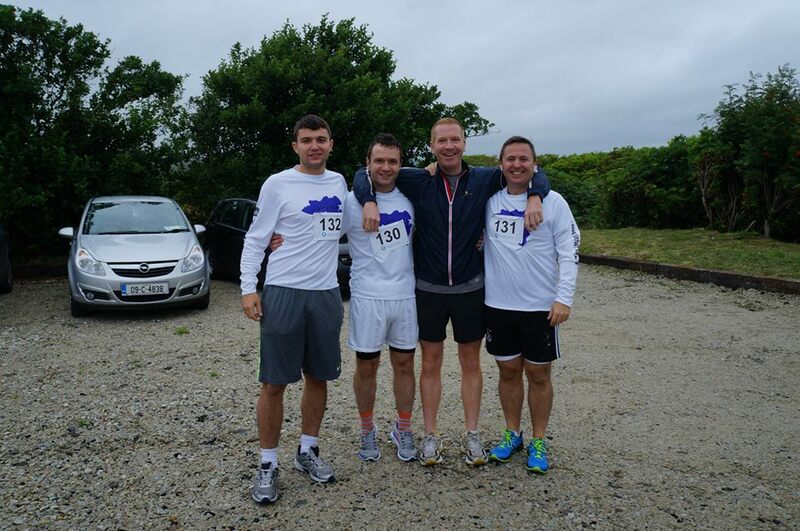 Thanks to the runners and their friends for their support. 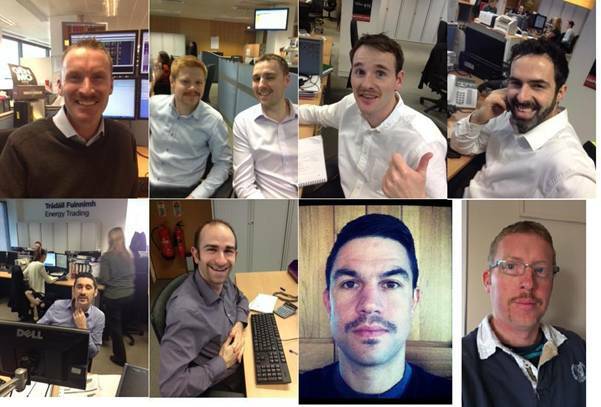 In November a bunch of guys from Energy Trading kept us all well entertained with their attempt to grow moustaches throughout the month. Thank you David Grainger, Tony Drinan, Finbarr O’Connor, Sean Clogher, Joe Collins, Paddy Fitzgerald, Eoghan McCarthy, Russell Palmer, and Marvin Prince (pictured from upper left corner to lower right) for sticking the course. We have to say they didn't look too bad! Thanks to all the lads and every one in Energy Trading for your support. On Christmas day a few years back I was sitting at the table beside Dominic in his family’s Cork home, Rosetta. I found myself listening to him regale me with tales of his recent travels to China. This conversation made me keenly aware of Dominic’s adventurous spirit, his love of travel and meeting new people and cultures. Not so long ago when I was heading off to do the Camino De St Jacques walk in Spain, I happened by chance to bump into Tara and Dominic on Grafton Street with my rucksack on my back and they both insisted in going out of their way to drop me to where I was staying that night. I found myself in that mighty wonder of a Vehicle ... yes Dominic's green jeep!!!! We laughed, chatted and I enjoyed their company while sharing my excitement of the coming journey with them. These are only some of the myriad of memories that I recalled as we walked along the Ballycotton cliffs on the 15th of December supporting Dominic’s trust fund. Around sixty people made up of Dominic's extended family and friends turned up in Ballycotton on a grey yet thankfully calm wintry morning. A fortunate weather window allowed everybody to enjoy the walk in spite of it being somewhat muddy and slippery underfoot. We all walked and chatted along the path that winds its way through the coastal fields while enjoying the blue swirling sea below and taking in big gulps of fresh sea air to spirit us along. Despite my erratic and at times confusing arrows, everyone managed to find their way to the home of Ken and Rachel Thompson. Here, Ken invited us into his studio where he is currently working on his Stations of the Cross for St Mels Cathedral up the country. These are carved out of Bath white limestone and are such beautiful spiritual works of art, and a joy to behold. Meeting Ken and listening to his wonderful enthusiasm for his craft as he explained their meaning was definitely such a bonus and was a real highlight for us all. It was also perhaps a fitting and salutary reminder of how difficult and challenging many peoples current stations in life can be especially our dear cousin Dominic, his wife and daughter Tara and Sonja, together with all their family and friends. The Blackbird pub on the main street in Ballycotton was made available to us by Mossy, who couldn’t have been more helpful and supportive. Its warm stoves and welcoming ambiance proved a perfect place for all the walkers to partake in some hearty soup served by our Aunt Eileen and my nieces Maire and Orla who did a brilliant job. We concluded the afternoon with a raffle and sent a few walkers home smiling hopefully. A sincere thanks to everyone who came to support Dominic’s trust fund on the walk. Mulled Wine, Mince Pies and More at The Blackrock Observatory! Some of you will remember the Yumi Yuki club in Cork, and often met Dominic there. On the 23rd of December, Clair McSweeny, of Yumi Yuki fame, kindly opened up the doors of The Blackrock Observatory for a special Christmas party organised by Dominic's friends; Catriona Daunt, Glenn MacCarthy, Dave Gaffney and James Murphy O'Connor, in aid of The Trust. There was a great mix of people there, school (primary and secondary) and college friends of Dom's, people from Blackrock who know him, friends of his siblings and parents and more besides, all came to show their support. 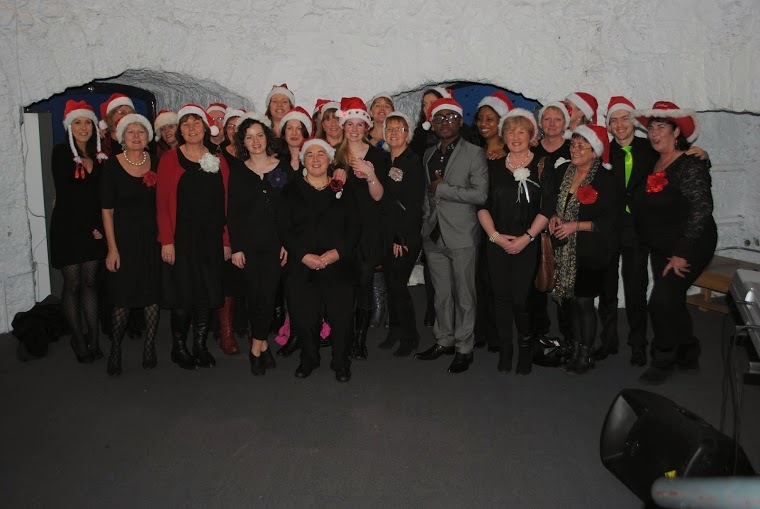 St. John's Gospel choir provided a stunning opening to a great night with food provided by some of Cork's finest gourmets; savoury tapas from Real Olive Co, Barry Tyner's pate and Arbutus breads, not to mention Willie's heart-warming stew and Anna Morrogh’s delicious cakes and desserts. We are so grateful to Robin Creagh for doing the bar and for donating wine and beer, and to Peter Collins who also donated beer and provided a keg system, thank you so very much to everybody who donated all of this fare, which was provided at very short notice too! Huge thanks must also go to those who donated the very generous spot-prizes; Ruairi Walsh and Michael Harty, Kevin Coughlan who donated a signed London Irish Jersey, Donnacha Ryan, Munster and Ireland international organised a signed Munster jersey and Katazyna Ruszel donated €300 in vouchers. DaveMac the DJ did a fantastic job and great fun was had by all. We wound up at a very respectable hour, early on Christmas eve morn! Finally, we would also like to take this opportunity to thank the following sponsors: Harvey Norman, Edge Sports, Munster Rugby Team, Darina Allen, Women's Fitness, Blue Haven, and Organic Republic. Thanks again for all your support over the past year. Please do check out the website, http://www.dominicmorroghtrust.ie for more pictures of all of these events as well as for news of upcoming events near you. We hope 2014 is a great year for everyone and look forward to seeing some of you at events in Ireland and beyond!